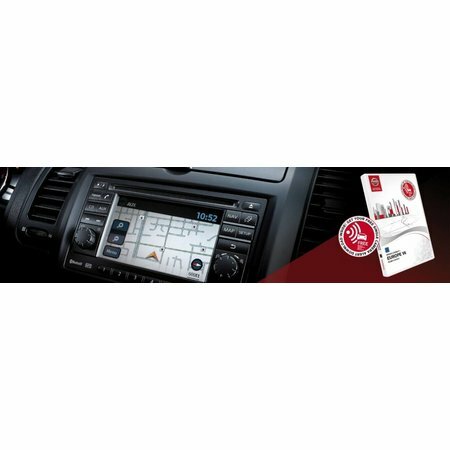 This recently updated HERE map of Europe for your Nissan CONNECT LCN1 navigation system includes millions of square kilometers and many Points of Interest. In this new Nissan map update, approximately 40 852 roundabouts, 786 447 street names, 45 128 one-way streets and 114 159 mandatory driving directions have been added or modified. In addition to highly accurate routes, you will find many POIs on these clear, detailed maps: golf courses, theaters, hotels, parking lots and much more, making this most recent edition of the digital Nissan GPS map the perfect guide for all your car trips in Europe.